An introduction to the coloured glass produced by the Sowerby company between 1875 and 1885 when John George Sowerby was managing the company, concentrating specifically on the glass colours used in pressed glass from this period. For research I have used the books in the BOOKS page on this site, I refer to the book by the author's surname and to which I reference where appropriate. I have also used pattern books, other articles and photographs of my own and museum collections where necessary. There are places where I have added my own ideas and conclusions, where I am unsure of something I will say so, everything is up for discussion. Pressed glass is the generic term for this type of glass. Although a lot of the items are mechanically 'pressed' by the glassworkers, a number were also 'mould blown'. With mechanical 'pressing', molten glass is introduced to the mould, then a plunger is pressed into the mould to produce the item. 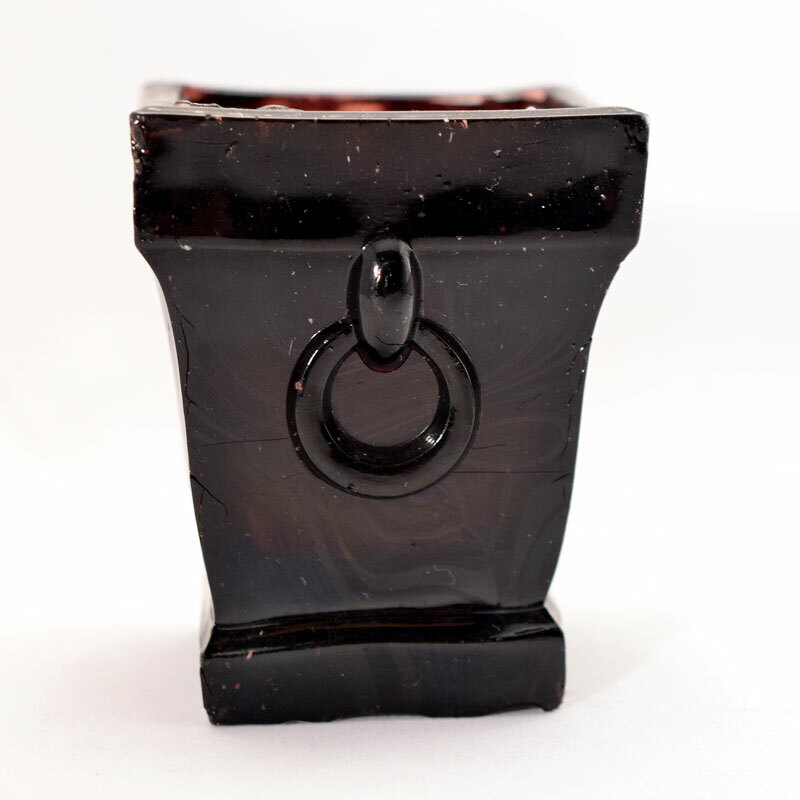 On pressed pieces the plunger can also be machined to produce an internal design inside the piece being made. A number of the patterns could only be mould blown, these are where the necks are narrower than the body and a plunger cannot be used. 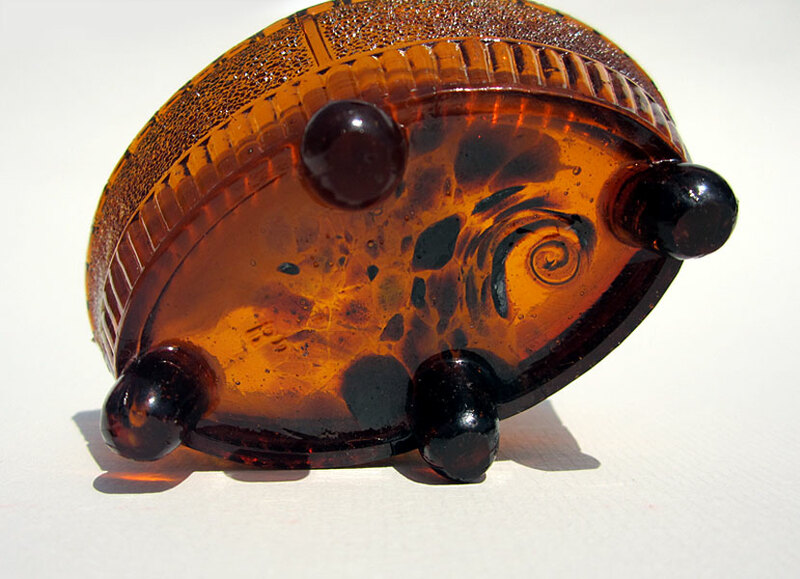 These pieces are made by 'blowing' the glass into a mould, either by hand or by machine, the mould would then be opened and the piece cut off of the blowing rod. 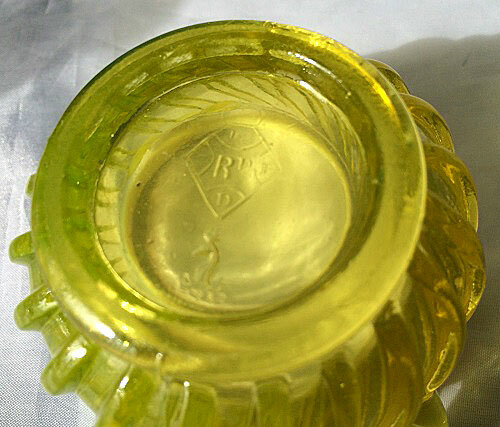 When cold the glass 'rim' of the item would be ground off, which often results in chips to the top rim of the glass. Items produced by this method are often not as 'crisp' as those produced by press moulding, not so much pressure is produced using the blow moulding method. The factory mark, if present, is always on the bottom of these items and is frequently not very clear due the moulding method used. 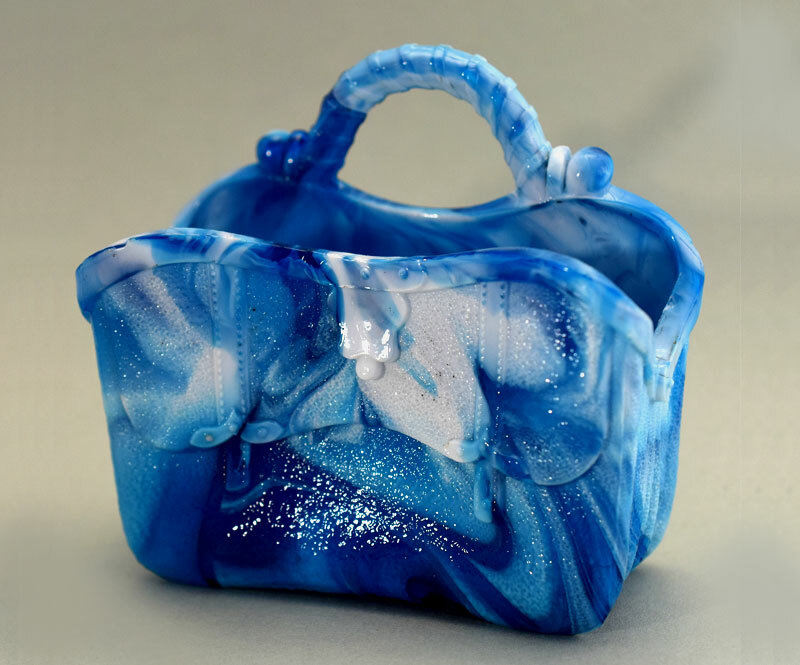 On the other hand, blow moulding allows other techniques to be utilised such as on cased, nugget or marble glass, where 2 or 3 layers of glass or inclusions can be added by the glass blower before being blown into the mould. Looking through the pattern books you can see which items are made by which method. The Sowerby family had long been engaged in the glass industry in Newcastle before the invention of pressed glass. George Sowerby owned a glass works in Pipenwellgate, Gateshead in the early 1800s, followed by his son John as owner in 1844. In 1850 John went into partnership with Samuel Neville and together they leased land in East Street, Gateshead. As 'Sowerby and Neville', in 1864 they purchased the land outright. In 1871 John Sowerby's son John George Sowerby joined the company as manager and colour mixer. Later that year Neville left the company and in 1874 the company became Sowerby & Co.
John George Sowerby was born in 1850. The 1871 census shows him as a 'Glass Agent' so he was already working for the company when, again in 1871, he became a manager and colour-mixer. The Sowerby company was already making pressed glass and at this time was the largest manufacturer of pressed flint glass in the country. Under the management of JG, Sowerby's were responsible for many pressed glass innovations. In his first year with the company he registered a patent (number 2433. Sowerby, J. G. Sept. 15 1871) for a mould to produce an article with more than one colour of glass. 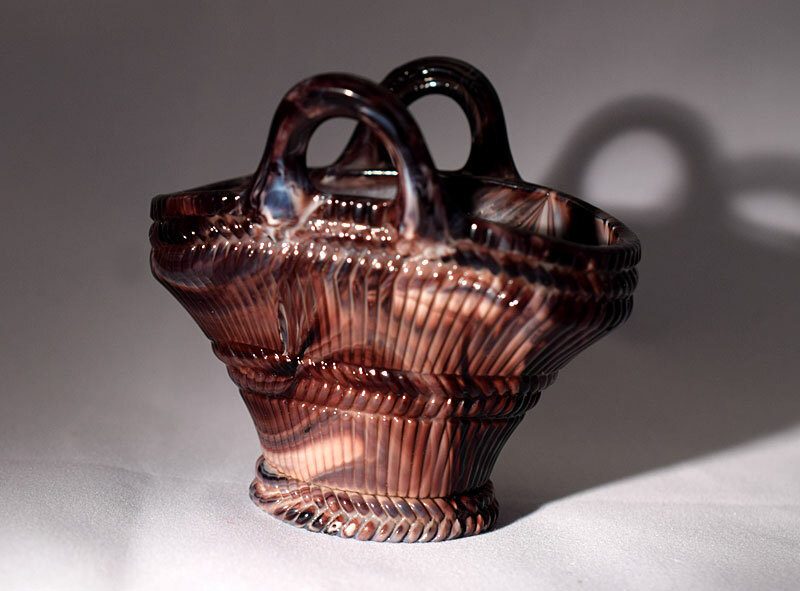 JG was also a talented artist and produced many of the designs and designed many of the moulds for the company's most successful products in the 1870s and 1880s. He was also responsible for a new type of glass which appeared in 1877. The new glass was called 'Vitro-Porcelain', an opaque type of glass which resembled porcelain. 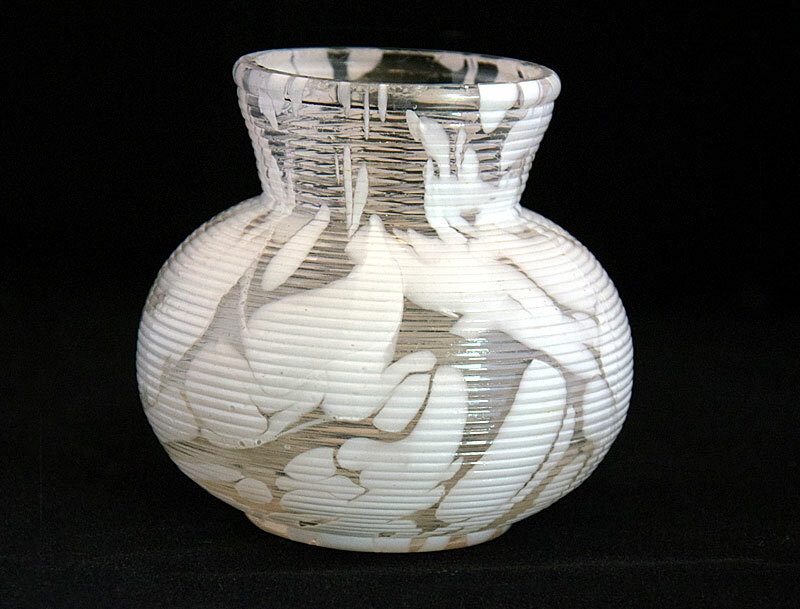 Vitro-Porcelain was followed by various types of 'fancy' glass, these new types of glass were used to produce small decorative pieces in a variety of colours. By this time Sowerby's was the largest and most innovative pressed glass house in the world, with a large R&D department, constantly experimenting with new materials and methods. Vitro-Porcelain and fancy glass items would have been produced alongside Sowerby's main production of flint glass domestic goods. 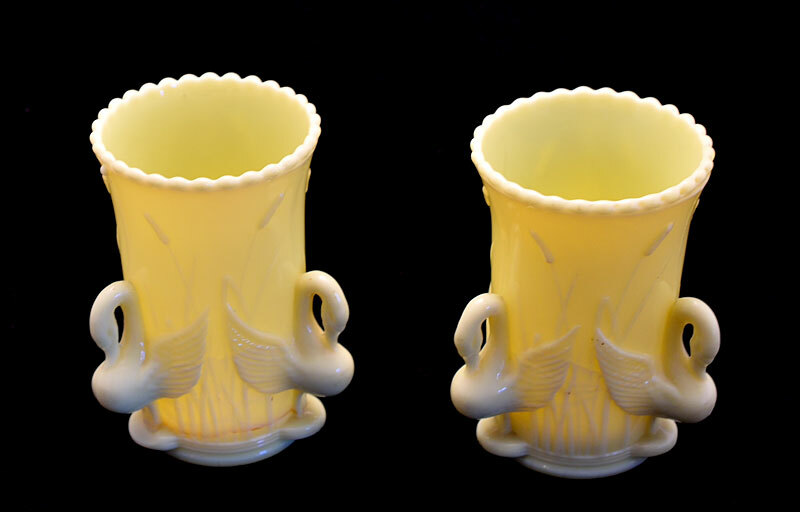 In 1876 Sowerby's patented a type of coloured opaque glass which they called Vitro-Porcelain. 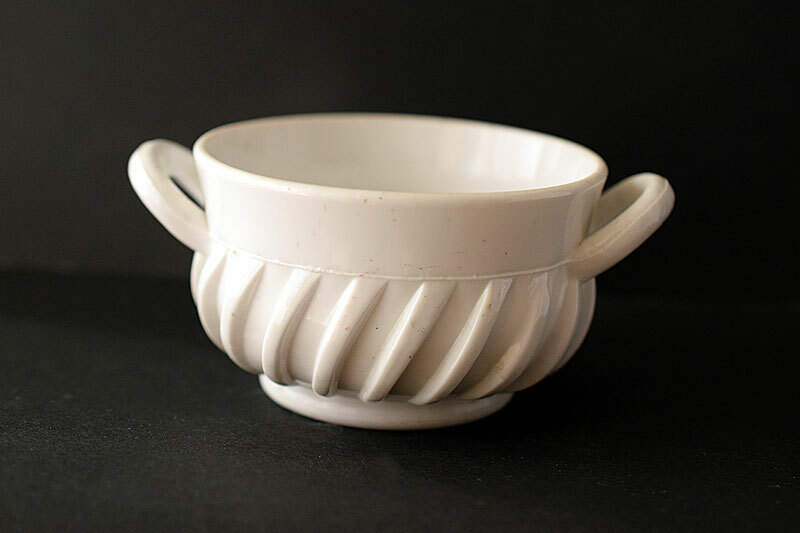 Vitro-Porcelain was described as an opaque substance like glazed porcelain, and the colours were given the names of semi-precious stones, opal, jet, turquoise, malachite. Vitro-Porcelain colours were the result of many months of painstaking experiments and were manufactured from very carefully controlled chemical mixes. The Sowerby trade mark, a peacock's head, was registered on the 26th January 1876 and most Vitro-Porcelain can be found with this mark, usually accompanied with a design registration mark. Turquoise a pale blue glass in the same year. Jet a black glass was probably introduced at this time (see below). 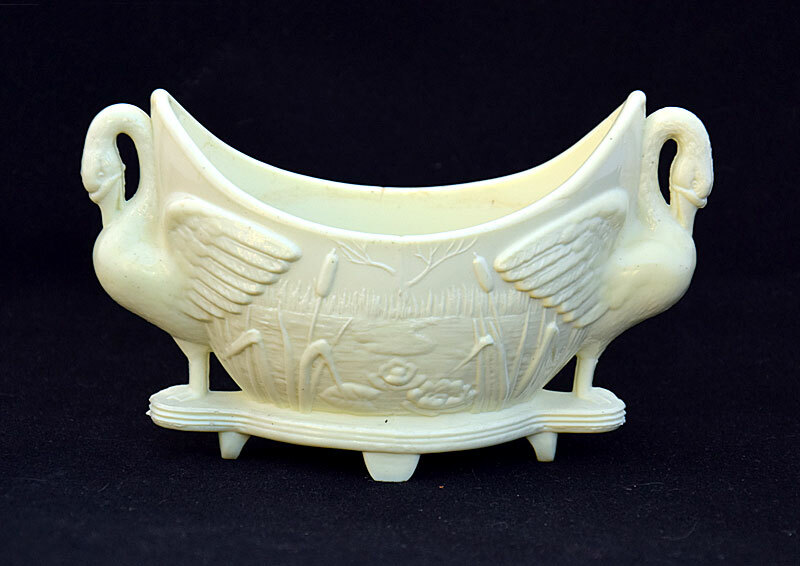 Patent Ivory Queens Ware was patented in 1878 a colour 'in imitation of carved ivory'. 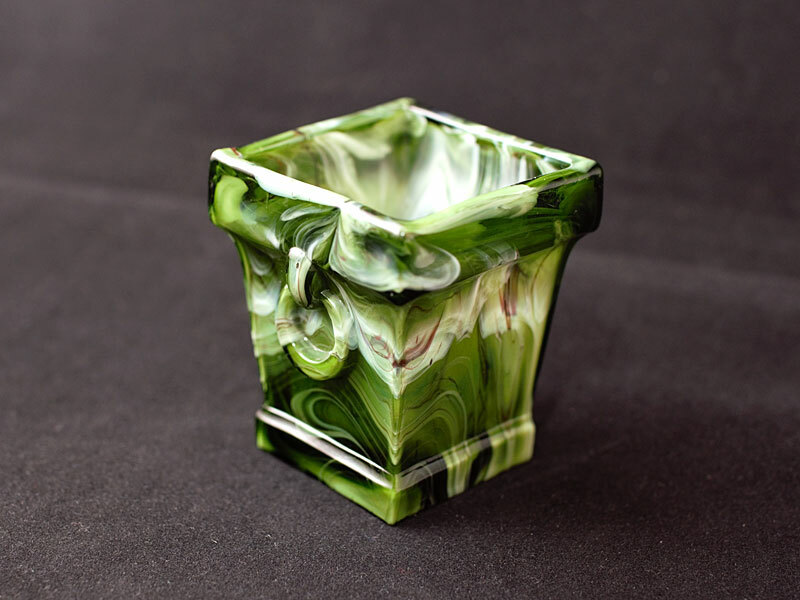 Malachite was also developed in 1878, a glass with a marbled and variegated effect. Aesthetic Yellow also known as Giallo a pale yellow colour. 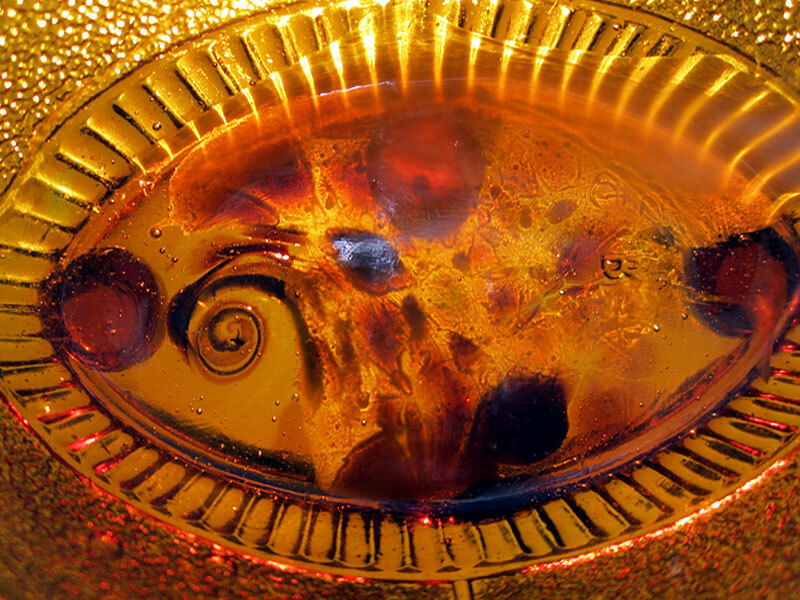 Gold is not opaque but a translucent pale amber glass. A page of Gold glass is included in the 1880/1 pattern book VIII, so I have listed it under Vitro-Porcelain. Malachite and Jet glass are discussed below. 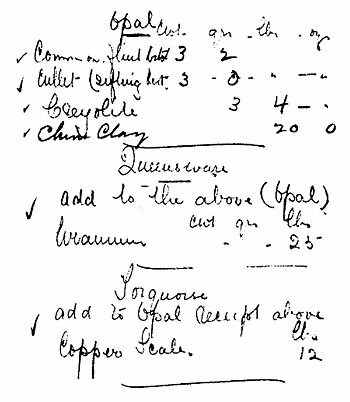 Murray (scan of Pg 31) This is a copy of Sowerby's Opal formula found in the Sowerby records. It shows that this Opal mix was used as the basis for Turquoise, with the addition of Copper (scale) and also for Queensware, with the addition of Uranium. Queensware and Aesthetic yellow glass both fluoresce under UV light showing that the formula for Aesthetic Yellow also contains Uranium. 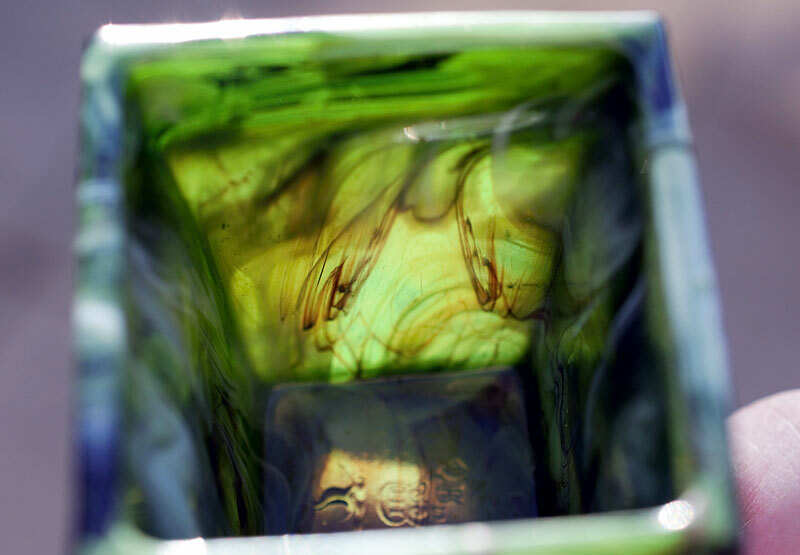 Malachite is a glass with a marbled and variegated effect. It was produced in Purple, Blue (also known as Sorbini) and Green. Sowerby mixed white 'Opal' with either blue, green, purple glass to produce Malachite. 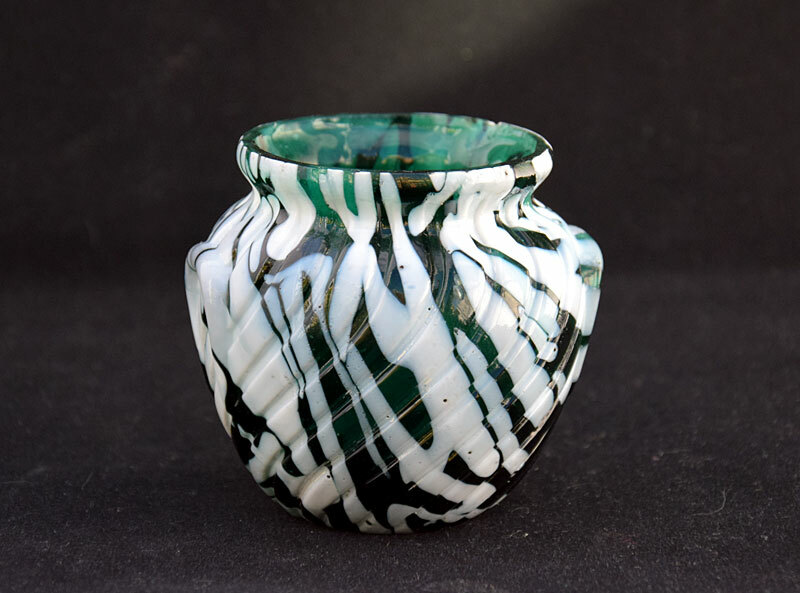 It is confusing but the purple and white marbled glass which we all know, Sowerby called 'brown malachite'. We know this because page 3 of Pattern Book VIII 1880/1 is dedicated to 'Brown Malachite'. When photographing this glass it does frequently appear brown in colour. All of the brown malachite pieces in my collection, when viewed with a strong light source behind, are completely opaque except one, which lets a little light through showing the base glass colour is a deep purple. This deep purple colour is mixed with opal to produce the malachite marbling. Sometimes an opaque grey is seen in the marbling, this may be a natural result of mixing the purple and opal colours together or produced by adding a grey colour to the mix. Translucent pieces do exist but these are rare and closely resemble Davidsons later produced Cloud glass. A number of different hues of green and blue were used to produce green and blue malachite, hence the colours are quite variable, sometimes opaque, sometimes quite translucent, light or dark in colour, often with two or more shades of colour in the same item. Sometimes it is quite difficult to tell if a piece is Green or Blue malachite as it is not obviously green or blue, but something in between. One malachite piece shown below is an opal and fern green colour to which a small amount of purple/brown has been added, which can only be fully appreciated when held up to the light when it looks like Davidson's Cloud Glass. 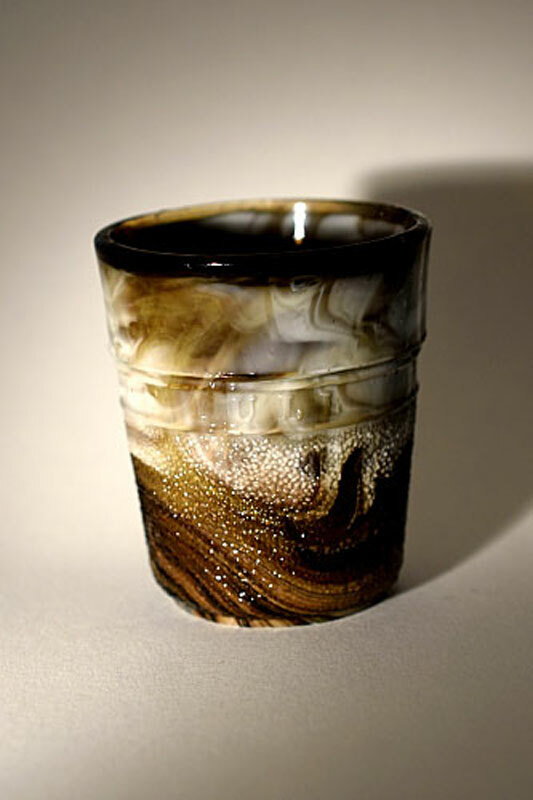 There is a Brown malachite which is a real brown and white marbled glass. It is rare and I have only seen two examples, both are a trademarked Sowerby 'Just a thimble full' ornament. Jet is a Vitro-Porcelain opaque glass, it is listed in pattern books VIII and XI but unlike Turquoise, Opal or the other colours I cannot find a date which shows when it was specifically introduced. 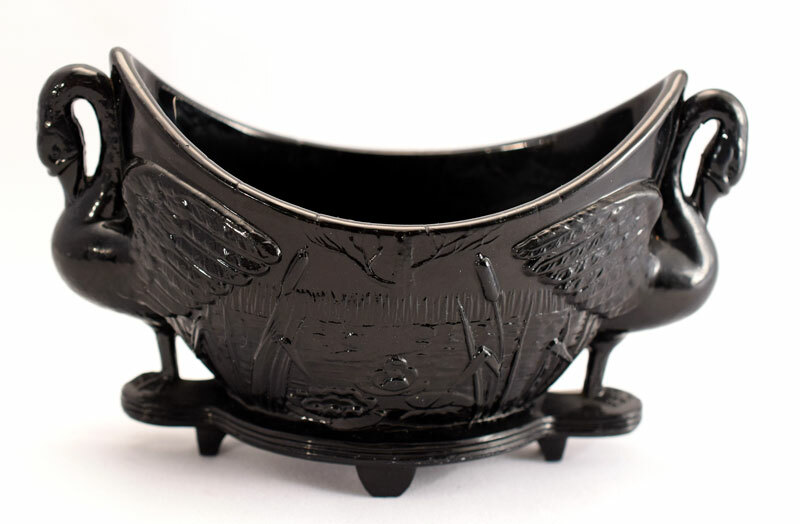 It is possible that Sowerby's were producing a black glass before Vitro-Porcelain was introduced but with an improved recipe an opaque glass was produced which they called Jet. 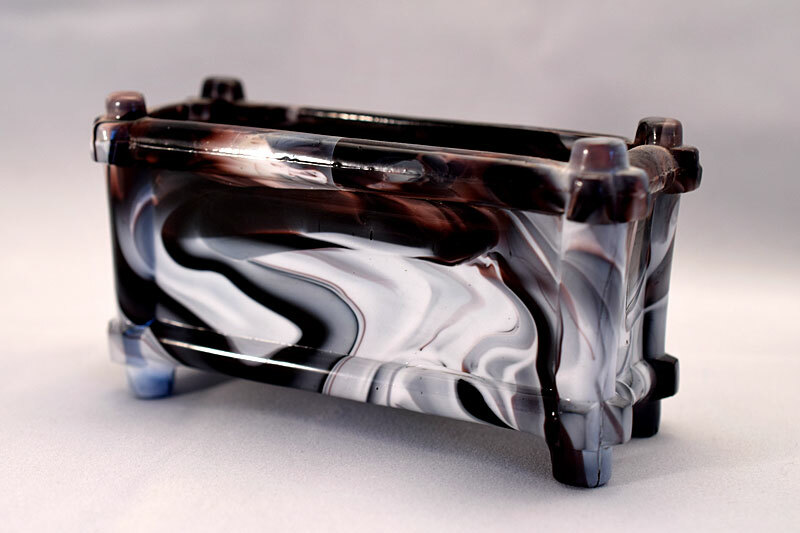 All of the black pieces I have are opaque, you cannot see through them even with a bright light source behind, except one, a small square vase pattern number 1264 which is black but when held up to a bright light is actually a dark streaky purple in colour. This could be a piece of 'slag glass', but it is also very similar to the colour used to make purple Malachite. So, the term 'Slag Glass' could possibly refer to purple malachite or black glass. The only thing we can say with certainty is that if a piece of glass has a Sowerby mark, is black, opaque and with a good surface shine it is (probably) Jet vitro-Porcelain. 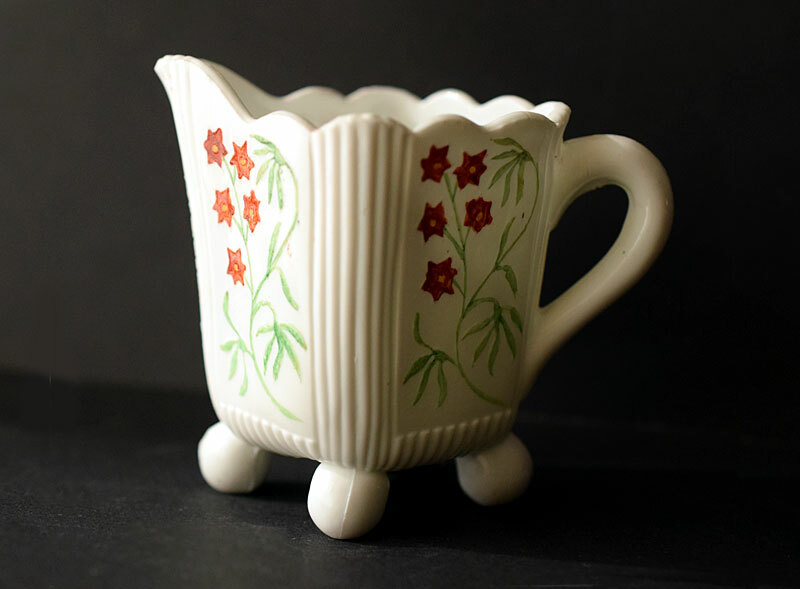 The glass items produced in Vitro-Porcelain proved very popular with their innovative shapes and colours, so popular that other glass houses such as Davidsons, Greener, and Edward Moore also began producing items in similar colours, malachite being especially popular. Most of these Vitro-Porcelain colours are well known and some were produced in large numbers over several years. The colours above are all opaque and can be termed as Vitro-Porcelain. The following colours can be described as 'Fancy'. 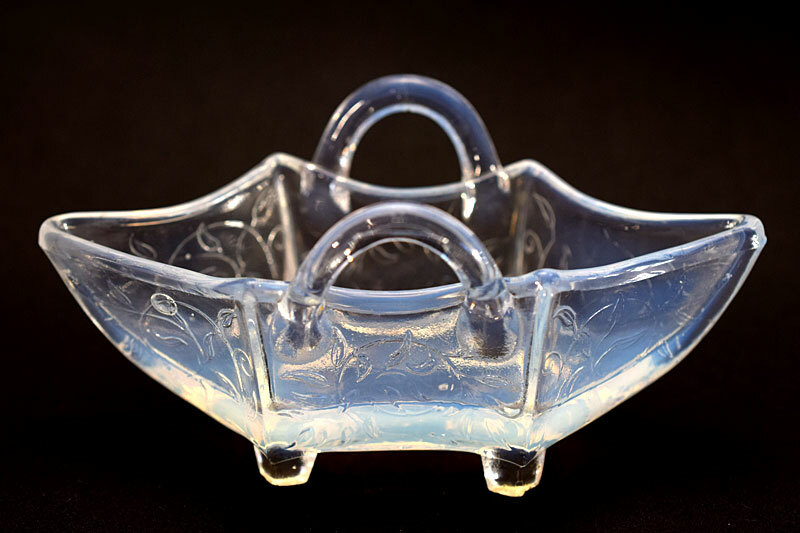 In 1880 a new line called Blanc de Lait was produced which is a clear opalescent glass. 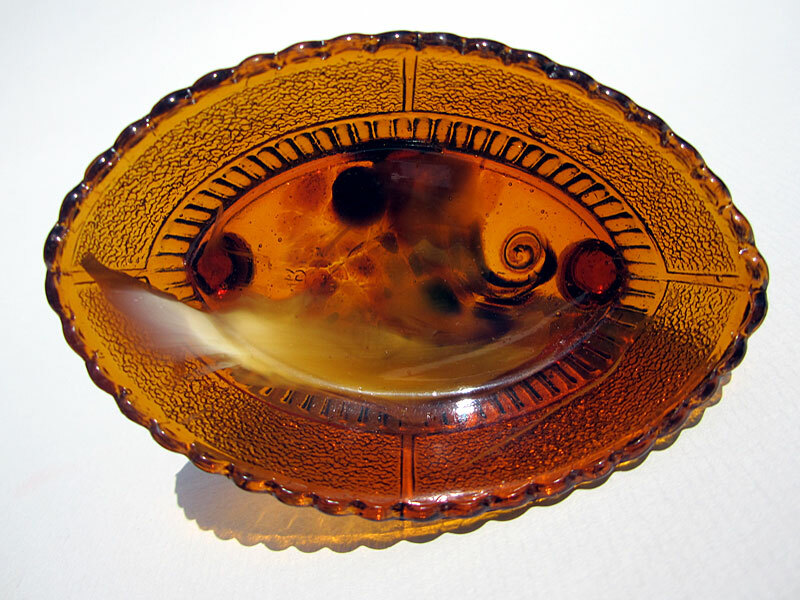 In July 1882 Tortoiseshell glass was introduced and in the same year a 'red' transparent glass called rubine. In 1883 Gold and Blue Nugget glass was produced and about this time Marble Glass appears in advertisments. Cottle (Pg 97) Reports on the glass at an exhibition in Manchester in October 1882 and Slack(Pg 40) 'In July 1882 a summer novelty was introduced under the name of Tortoiseshell Glass, and was reported as 'very pretty and attractive. It's imitation of the real shell is striking, and being brought out at a popular price it must have a large sale'. 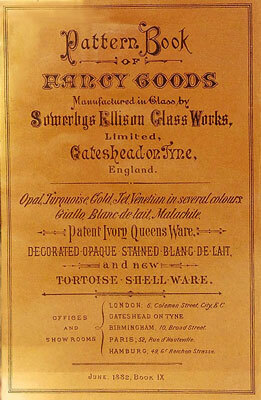 Tortoiseshell is also advertised on the front of the 1882 catalogue, and 'New Tortoiseshell and marble Vases' are also mentioned in a Pottery Gazette advertisment from 1882. (see below) It looks like Sowerby's had high hopes for this glass but it seems to have almost disappeared without trace and is very rare. 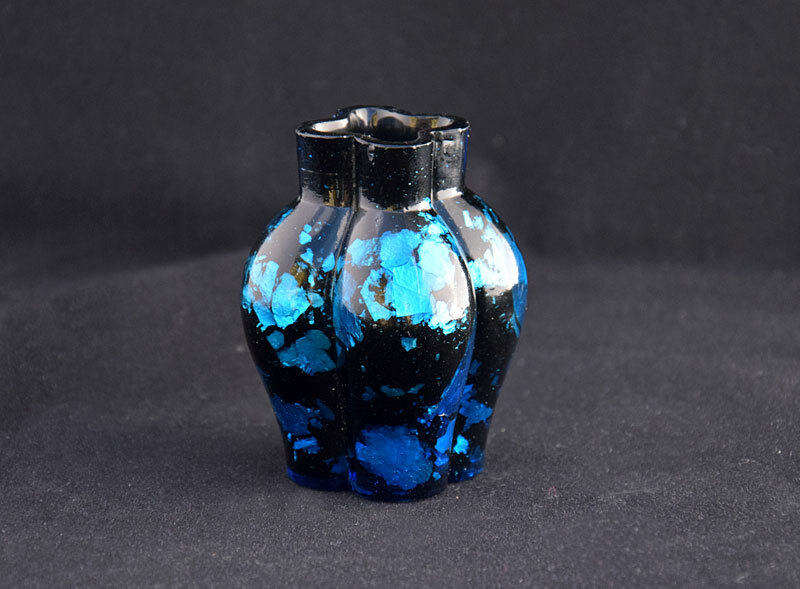 Introduced in 1883, gold and blue nugget glass is a mould blown cased glass with mica inclusions. Typically, the pieces I have seen, have either an opaque black or translucent dark blue inner layer, then a layer of mica flakes then a thin outer layer of either translucent pale amber or blue to give the Gold or Blue Nugget effect. As with all Sowerby mould blown pieces the top lip is ground flat. Cottle (Pg 59) has an illustrated page of Nugget Glass. Again, a type of glass where not many pieces have survived. 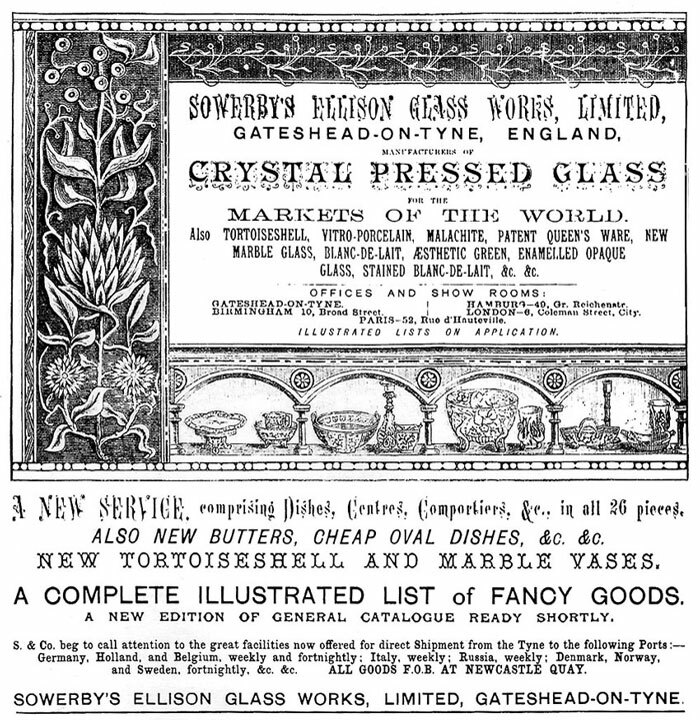 In an advertisement in the Pottery Gazette and Glass Trades Review of October 1881, Sowerby advertised the availability of their superior ruby and green coloured pressed glass for ship-deck, side and mast-head lights, binnacle lamps, railway roof lamps and signal lenses. 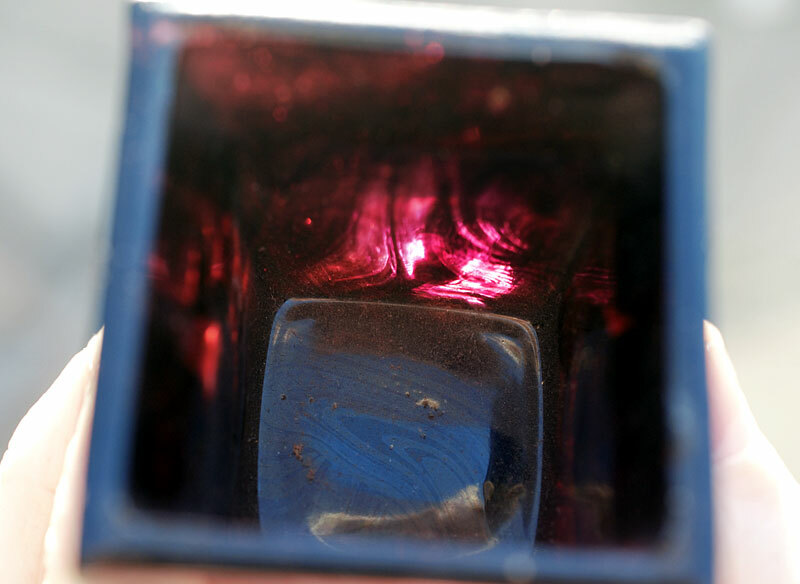 Slack (pg 40) calls this deep red glass Rubine. Lattimore (pg 52) In 1881 came a very deep red glass which they called rubine. I have a problem with 'rubine'. I have not seen the name mentioned in catalogues. I have seen various marked and unmarked pieces in red but these are later patterns from at least the turn of the century, and in most cases probably a lot later. 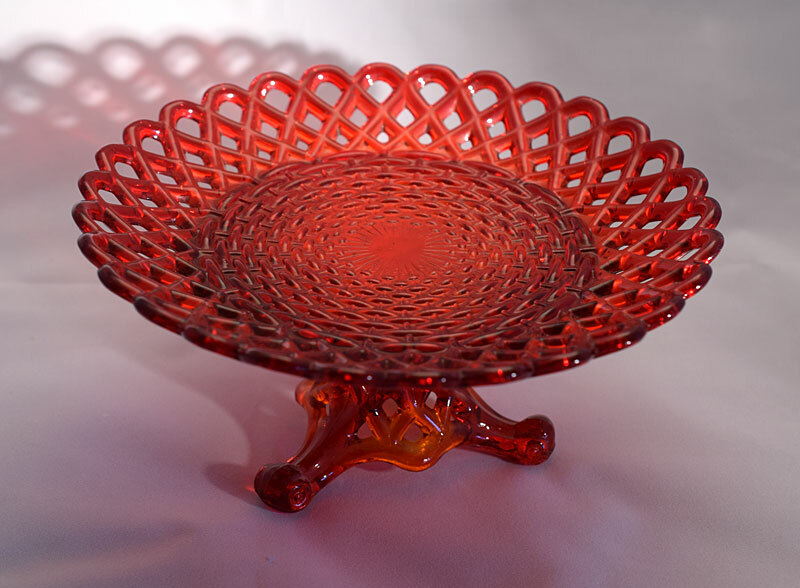 Yes, there are red lattice plates with stands and a dolphin bowl in red, these are patterns from the 1880s but were updated and used probably up to the 1950s, they could have been made anytime until then. Sowerby's made lamps for ships and trains in ruby red but I have not seen any pieces from the pattern books from the 1870/80s in pure ruby red. So now we have three colours, ruby, rubine and rose opalescent. The Pantone colour Rubine is a 'dark pink'. 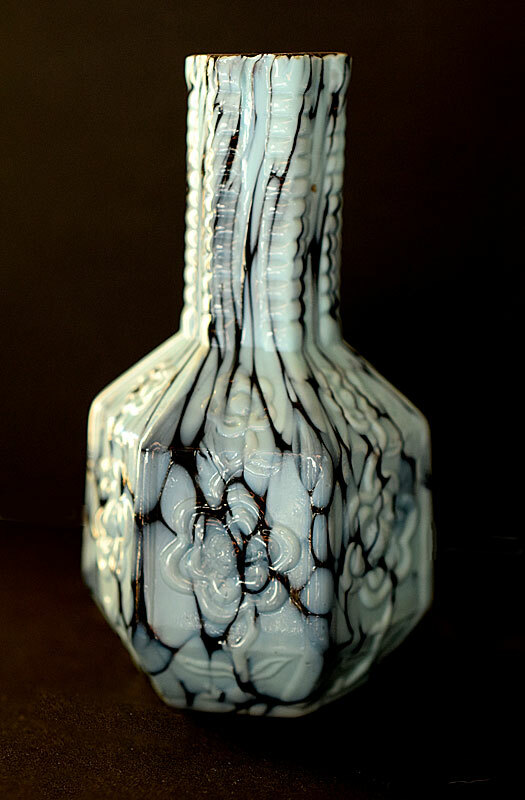 Sowerby used the term Blanc-de Lait for his opalescent glass, not opalescent. 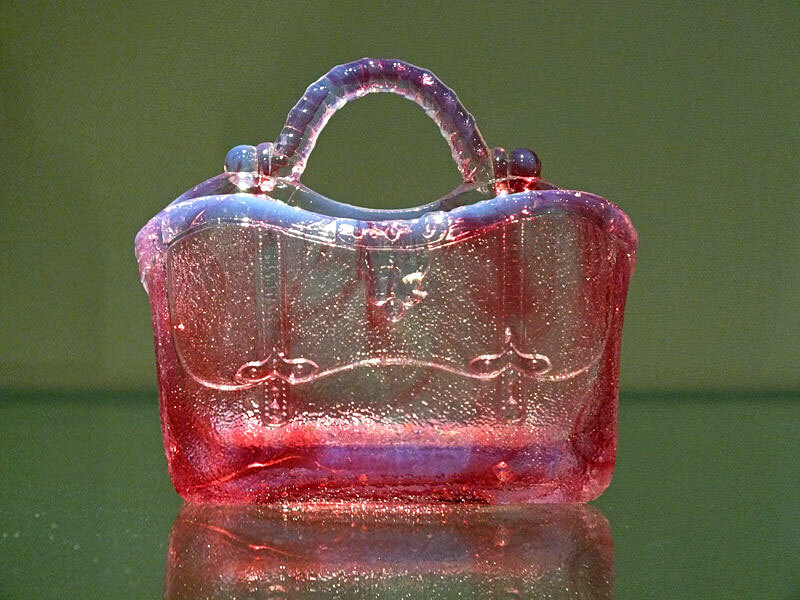 So, for me, the opalescent Gladstone bags in the Shipley Art Gallery are either Rubine or Rose Opalescent. All other red pieces are ruby. Slack (pg 40) 'Another new colour appeared in the advertisments at about this time (1882) which closely resembled the Brown Malachite of earlier manufacture. This was called New Marble Glass'. Slack (pg 41) Shows a B&W picture of one of the vases. 'New Marble Glass supersedes Brown Malachite and shows an amethyst hue'. Slack labelled this vase as 'New Marble Glass'. Amethyst is purple in colour so these vases were presumably a purple glass marbled with Opal. 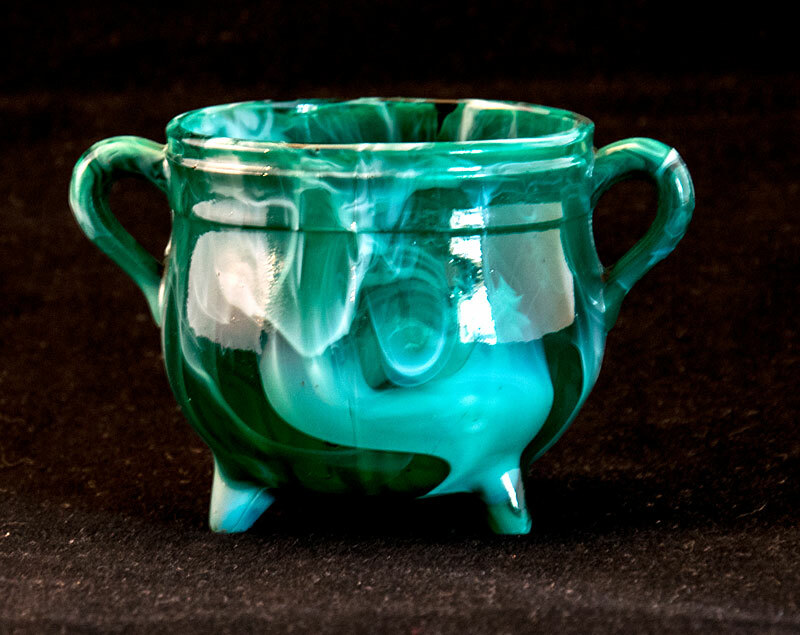 Green and Blue Malachite was produced using various shades and degrees of translucence of green and blue, so it is possible that the Brown Malachite vases that Slack labelled 'New Marble Glass' was simply Brown Malachite made from a different, possibly more translucent, mix of the purple base glass, not a new type of glass. An advertisment in the Pottery Gazette of 1882 (see below) refers to "TORTOISESHELL, VITRO-PORCELAIN, MALACHITE, PATENT QUEEN'S WARE, NEW MARBLE GLASS, BLANC-DE-LAIT, AESTHETIC GREEN, ENAMELLED OPAQUE GALSS, STAINED BLANC-DE-LAIT, &c &c" and later to 'MARBLE VASES'. This can be read as 'New Marble Glass' or new 'Marble Glass'. 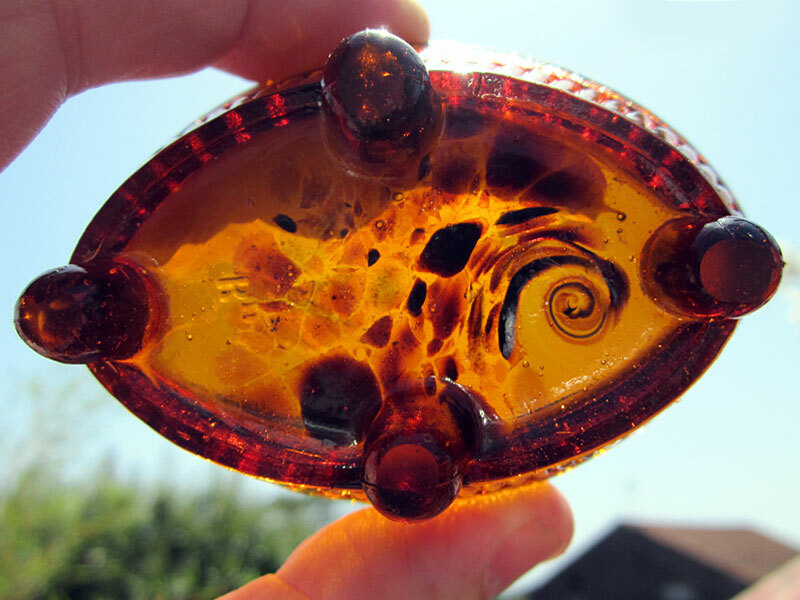 I think this was a 'new' type of glass called 'Marble Glass'. As far as I know Sowerby's never referred to their malachite colours as 'marbled'. 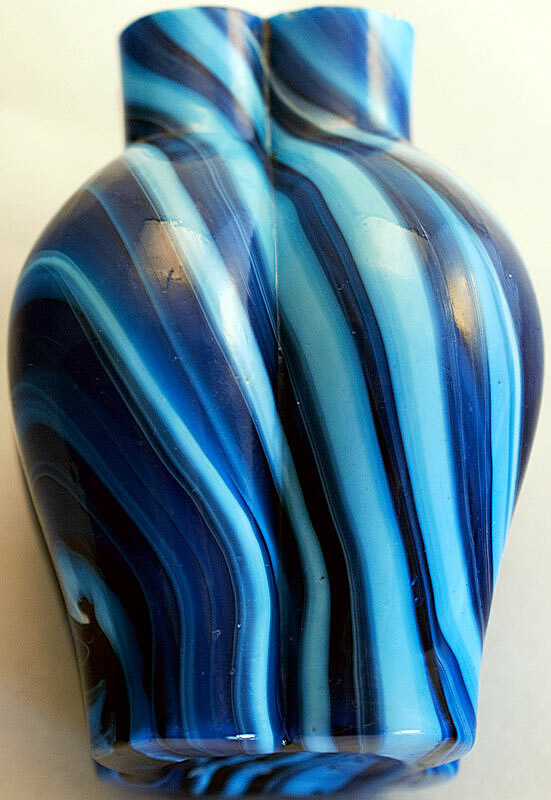 I believe that the term 'Marble Glass' on the cover of the pattern book refers to a mould blown, marbled and possibly cased glass which I have previously referred to as 'spatter' glass. The glass has an opaque or translucent coloured, or clear glass layer onto which chips of another colour, usually Opal or Turqouise have been marvered and then blown into a mould. The glass may also have a thin inner white casing. Cottle (pg 56) also shows four items of this type of glass from the Laing Art Gallery, but there is no corresponding text to describe it. In around 1871 Sowerby's established an Art Glass Studio during a general revival of interest in Venetian style glass in Britain at that time. 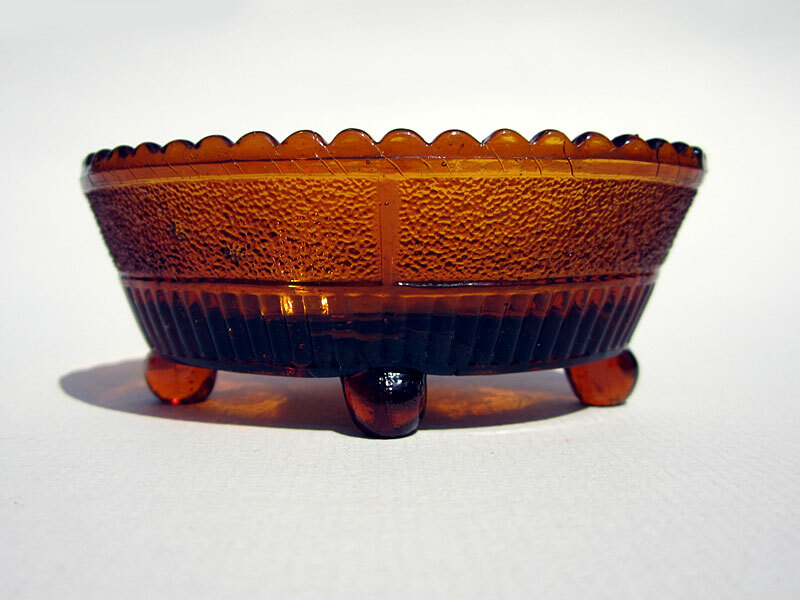 Very little is known about the articles made by the studio, what is known is that somewhere between 1876 and 1877 Sowerby's introduced a 'trade' line in glass which they called 'Venetian'. 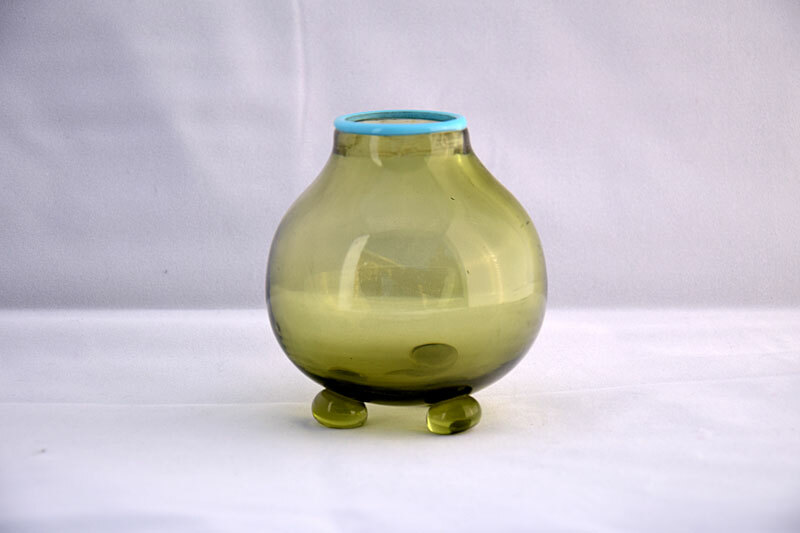 Sowerby Venetian glass is usually clear or pale green in colour with Turquoise glass usually being applied to the rim, as threaded decoration or prunts. 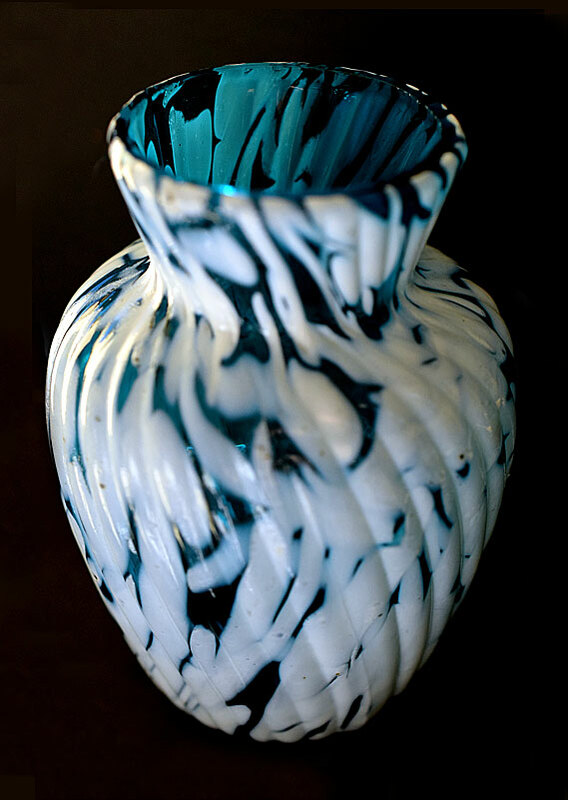 We know what Sowerby Venetian glass looks like as it appears on page 14 of the 1881 pattern book VIII, other glass from the studio is very difficult or impossible to attribute as the glass was never marked and did not appear in contemporary articles or photographs. Cottle(pg 75) devotes a full chapter to Sowerby's Venetian and Studio glass. The last recorded mention of the studio glass was in 1885, it is probable that the studio was closed soon after this. 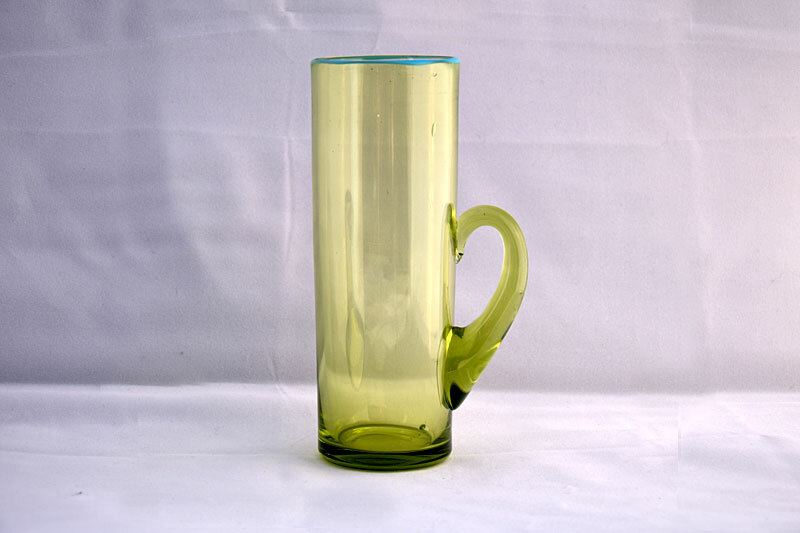 In 1889 Davidson's patented a glass with a colouring which they called "Pearline". Pearline was made in two colours, blue and a yellow they called Primrose. Pearline was very sucessful for Davidson's and continued in production until the outbreak of the First World War. In this type of glass parts, like the rim, when exposed to heat during the cooling process, turn opaque. 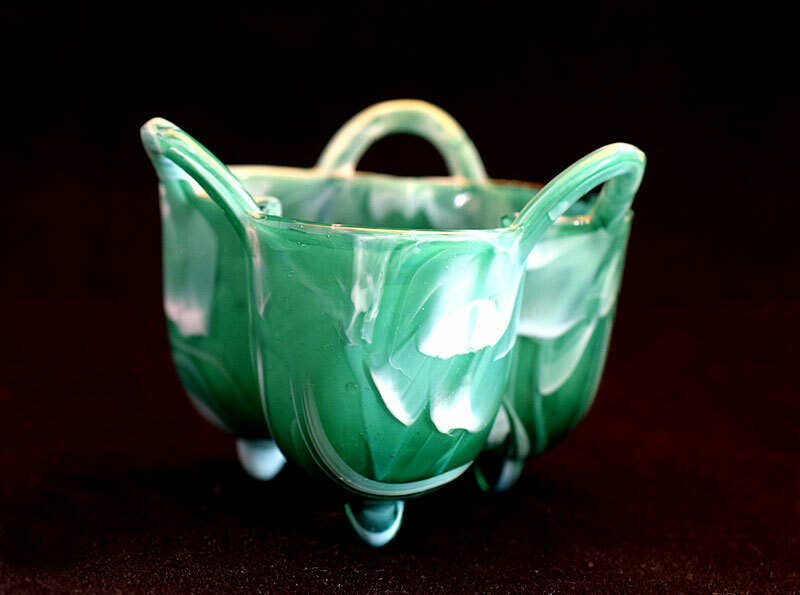 Greener's made glass in similar colours as did Burtles and Tate, a process used on their opalescent swans to good effect. 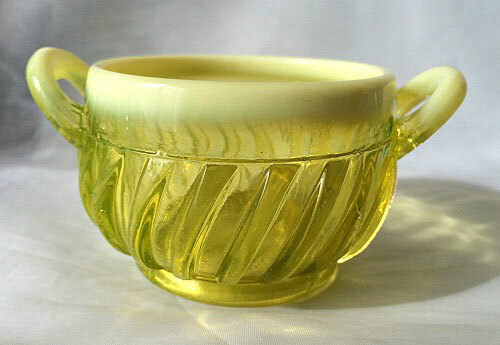 Davidson's Primrose is a yellow vaseline glass with opaque yellow top edges. Sowerby produced a similar type of glass. Only one pattern is known to have been made in this glass, a small 2-handled dish, pattern 1254½, Sowerby RD 314279 of 18 September 1877. It is not known when Sowerby produced these, or how many were produced. They could be contemporary with Davidson Pearline, produced using an old mould, or Sowerby's producing the glass much before Davidson's. I like to think it is the latter. These are seldom seen and rare. Vitro-Porcelain and 'fancy' glass were not the only colours produced at this time. 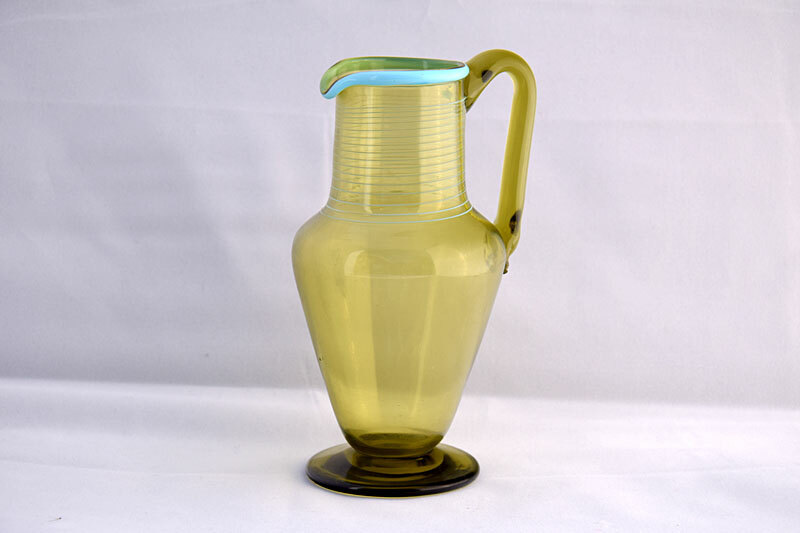 Most of the output from the Sowerby factory was utility items produced in clear 'flint' glass. Items were also made in a whole range of, mainly translucent, colours. Murray (pg 33) states that in the 1880s there were five different blue colours used and items from the pattern books can be found in a variety of colours. As well as colour, Sowerby used a number of surface decoration techniques. Clear and coloured glass was treated to frost the surface. Baskets and nursery rhyme pieces are found with the raised surface decoration picked out in gold, silver or coloured enamels. These are cold painted and not fired onto the piece, often resulting in some of the paint missing from pieces. Blanc-de-Lait pieces have been found with the raised decoration 'stained' amber. After application the stain was fired to 'fix' it onto the surface of the glass. Other pieces have also been found with a very pale purple stain applied and fired onto the surface. Cold painted enamel surface decoration is the effect often found and it is possible Sowerby used this technique to make some of the older designs more appealing to customers. Pattern book XI 1885, which largely consists of flint glass items offers a number different surface decorations, Obscured, 'Plain and Obscured', 'Cut and Obscured', 'Plain and Envraved', Engraved, 'Cut Stars', Cut, 'Cut Hollows' and Frosted. 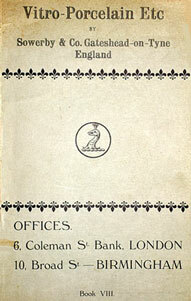 A lot of information can be found in the Sowerby pattern books which would have been sent to wholesalers and retailers, and advertisements which appeared in trade publications at this time. Three pattern books are available covering this period, book VIII from 1881, book IX from 1882. and book XI from 1885. There was a pattern book VII available in 1880 (see Advertisement below) dedicated to Vitro-Porcelain but, so far, this has not been found. A number of new designs were registered by Sowerby between 1876 and 1880, many for small decorative items and it is these which appear in the pattern books. Designs from the pattern books are found in Vitro-Porcelain and 'fancy' glass, but items were also available in other 'common' colours such as green, puce and blue in various shades as well as clear flint glass. A number of designs are also found that are not in the pattern books, these may be in books that have yet to be found or just not included. The first few pages of pattern book IX show items that were in the previous pattern book (VIII) and some of the more 'simple' designs, such as woven baskets which were probably produced when Vitro-Porcelain was first introduced. Vitro-Porcelain etc shows articles in Turquoise, Jet, Gold, Opal and three types of malachite Green, Blue and Brown. There seven pages of Opal which shows Opal was a white not an opalescent glass, most of the items shown are not found in opalescent 'blanc-de-lait' glass. 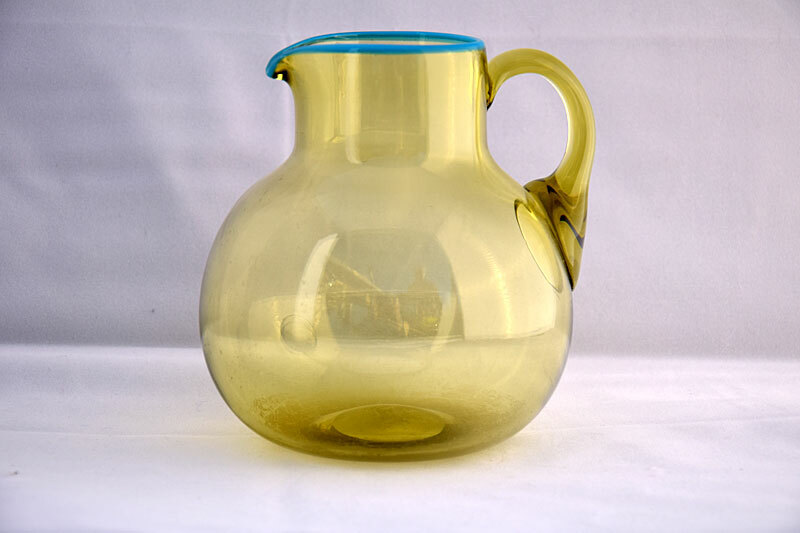 The last page shows some of the blown glass Venetian ware made as a 'trade' line. Pattern Book of Fancy Goods - this pattern books shows items from pattern book VIII plus a number of new items in 'aesthetic' form and decoration with each page heading showing 'Flint, Opal, Turquoise, Malachite, Patent Queen's Ware, Blanc de Lait'. Venetian in Several Colours, although Murray (Pg 37) does refer to smoky brown glass items, the Venetian 'trade' line is only known in clear and translucent green colours with turquoise rims, trails or prunts. Maybe 'Venetian in Several Colours' refers to the glass which was being produced in the Sowerby Art Glass studio at this time. DECORATED-OPAQUE-STAINED-BLANC-DE-LAIT This line of the cover page is confusing and may refer to a number of different colours and techniques (see advertisement below). Most of the patterns from book XIII 1881 appear in pattern book IX 1882. 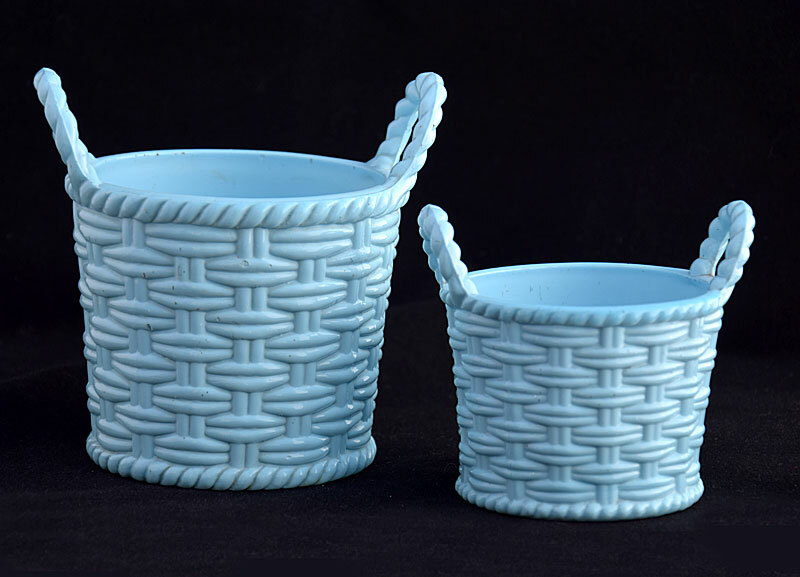 The 'simpler' patterns like the basket shapes listed at the front of the 1882 catalogue must have been made in numbers over the years, especially in Turquoise, Opal and Malachite as these are still to be found for sale quite frequently. Other items, especially those that appear towards the end of the catalogue are rarely found, so were probably made in far fewer numbers. 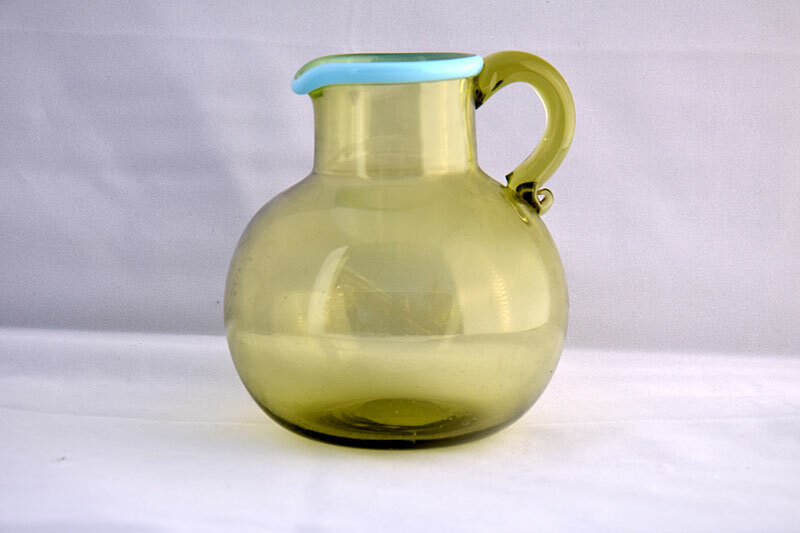 This catalogue has forty pages of mostly flint glass utility wares for domestic and commercial use rather than the mainly decorative items contained in pattern books VIII and XI. Some items from pattern books VIII and IX have made it into pattern book XI, presumably the best selling ones. 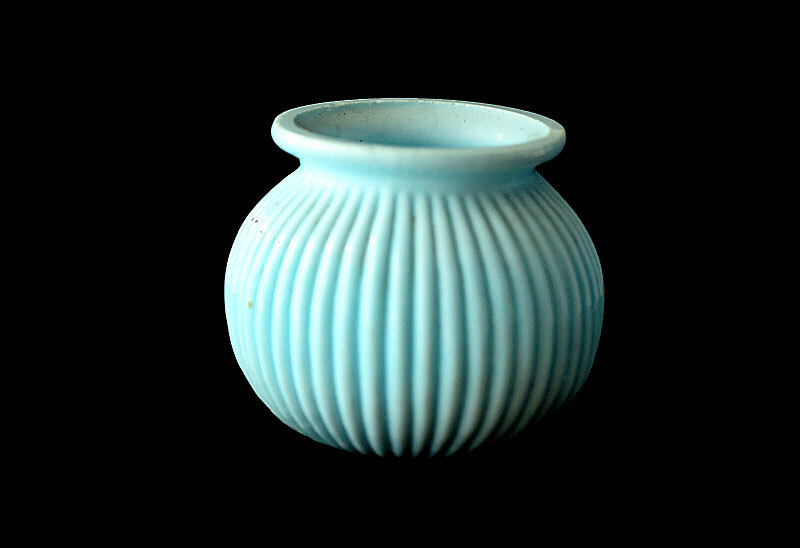 An oyster dish, pattern 1615, on page 37 is specifically listed as being made in Turquoise, Opal, Blanc de Lait and Slag glass as are the Flint Flower Pots on page 32. A few items are listed as available in 'Plain, Bright and coloured glass'. Pottery Gazette advertisment from February 1880. This shows that the bulk of Sowerby's products were still being made in clear glass but they are continuing to make vitro-porcelain products with a new pattern book, Book VII being available "on application". In 1880 new colours were being introduced and it may be that the first colours which were produced in vitroporcelain, Turquoise and Opal, were becoming less popular so are now being offered at a reduced price. It also seems that the popularity of their products is causing them to be copied by other companies, probably at home and overseas, hence the appeal for information on design and trade mark infringements. This Pottery Gazette advertisment from 1882 makes more sense of the colours and decoration. Most of the colours mentioned in the advertisement above have been discussed previously, the last two, Enamelled Opaque glass and Stained Blanc-de-Lait are discussed below. Enamelled Opaque glass or Decorated Opaque: a small number of opaque vitro-porcelain baskets and nursery rhyme pieces were decorated by picking out the details in gold, silver or coloured enamels. These are cold painted onto the glass and not fixed by firing, because of this some of the paint is often missing from pieces. Stained Blanc de Lait: see picture in Cottle (pg 60), a few pieces of Blanc de Lait glass are found where the highlights have been picked out with an amber 'stain'. After staining the pieces were fired to 'fix' the finish onto the glass. 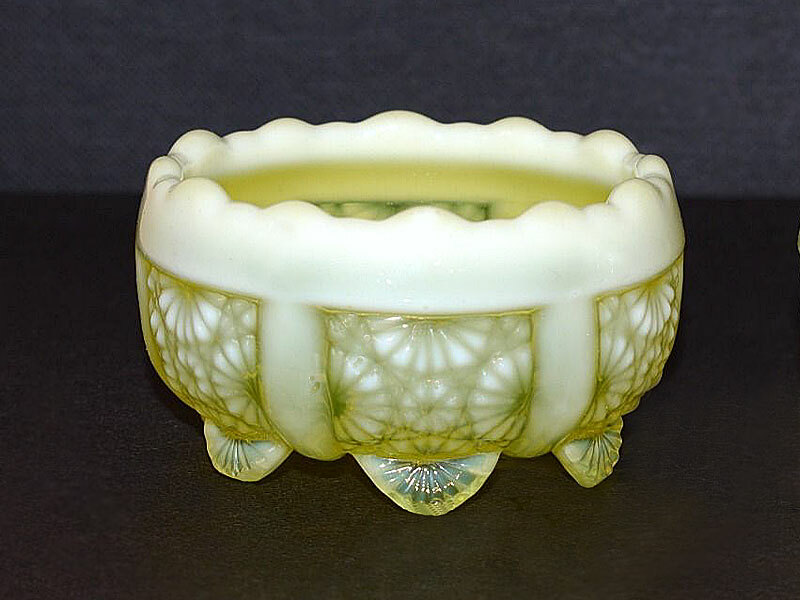 Note also, most Blanc de Lait items are opalescent clear glass but there are also a significant number found in a pale green opalescent glass which does not appear to have a specific name. It is possible that this colour could be 'stained' Blanc de Lait. When Vitro-Porcelain was first introduced in 1877, it was a new type of glass produced in interesting shapes and colours and sales must have been high. 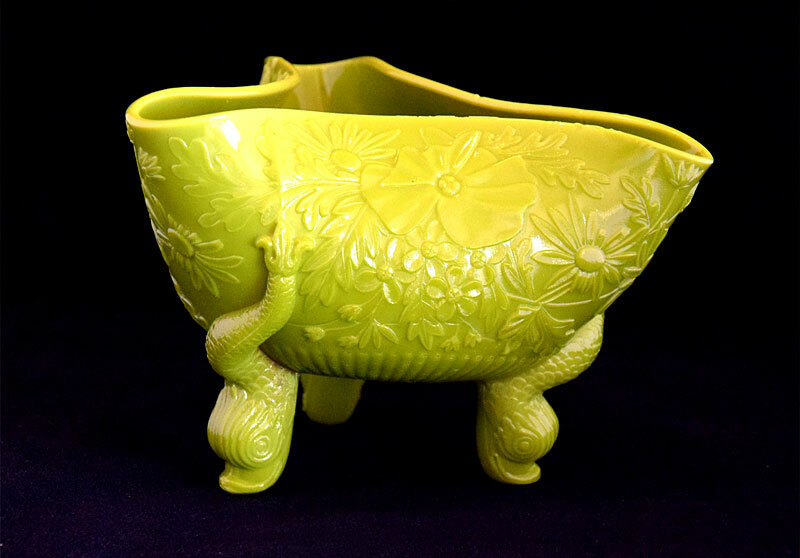 New colours, Malachite, Queens Ivory Ware and Blanc-de-Lait kept the sales moving and also sold in numbers but, by 1880 sales of the original Vitro-Porcelain colours, Turquoise and Opal were on the wane, with advertisements listing prices as being reduced. Perhaps the fickle buying public had become bored with glass and moved on to something else. By 1882 even with the introduction of the new 'fancy' colours sales were probably not going well. 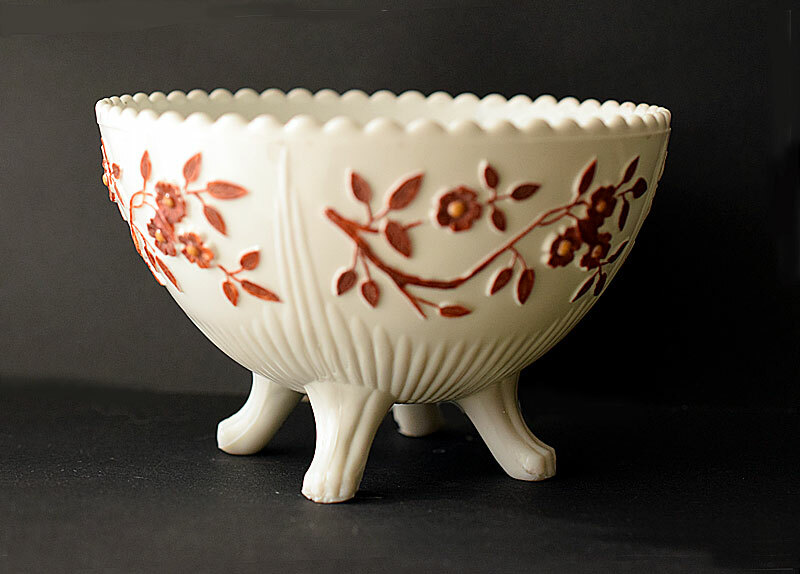 The 'fancy' colours like Nugget, Tortoiseshell, and Marble Glass were more difficult and time consuming to make, could not be produced quickly and cheaply like the original Vitro-Porcelain colours and were probably not commercially successful. Because of this 'fancy' glass colours were not produced in numbers and are rare today. Cottle reports (pg 30) 'JG Sowerby resigned from the directorial board on the 29th November 1883. Relations were strained between him and his fellow directors but the reasons for this are not at all clear'. Perhaps at this point Sowerby's were failing to make novelty items pay. By 1885 the company seems to have mostly dropped Vitro-Porcelain and 'Fancy' glass, they had also closed the Art Glass Studio, which had probably been setup by JG in 1871. 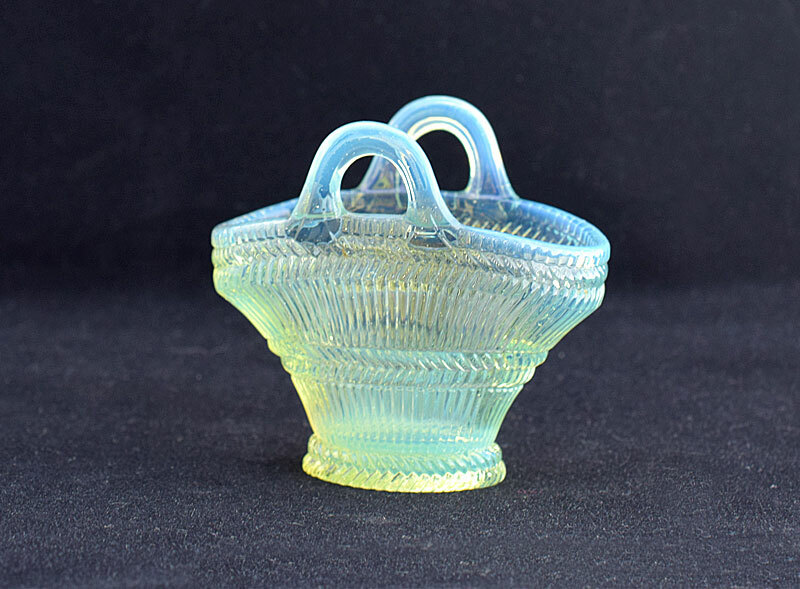 The Victorian coloured, novelty items for which Sowerby are so well known today had been largely dropped and by 1885 the company were once again concentrating their production on flint glass domestic goods.